Made in Italy, our Omni 4150 Double Sided Tissue Tape is of premium quality with an aggressive rubber adhesive, which easily adheres to LSE and HSE substrates. Double Sided Tissue Tape is perfect for laminating paper, cork, plastic and textiles. 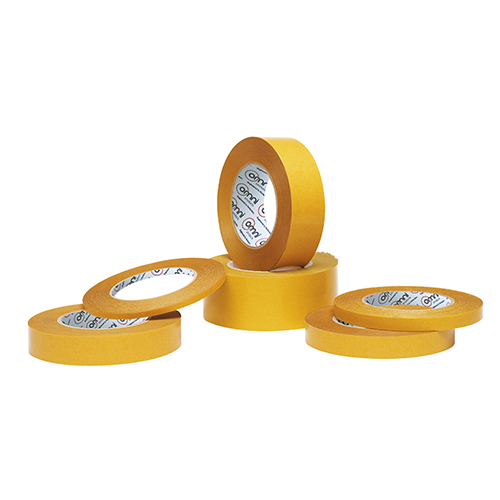 The tape comes with a high coast weight of adhesives which helps it to bond to rough surfaces as well. It is perfect for mounting name plates, decals, signs, general display and exhibition. We can custom slit to any widths – enquire today!